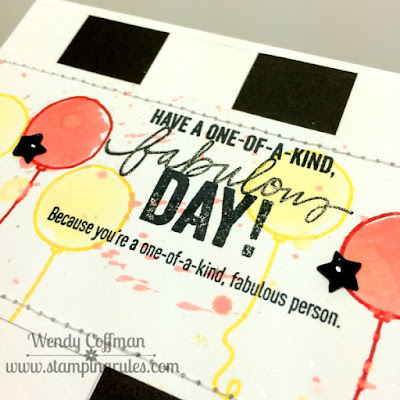 Such a fun and happy card, Wendy! I just love those sketchy balloons!! Thanks for joining us at the Runway Inspired Challenge! What a fun card! Great take on the sketch! Thank you so much for playing along with us at Retro Sketches! 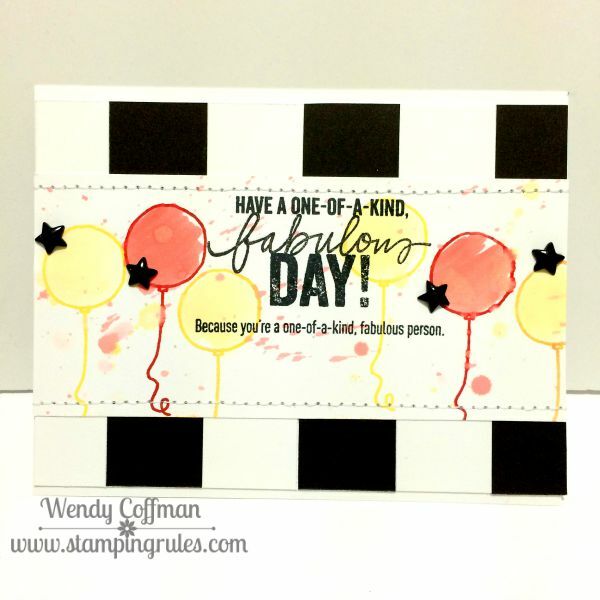 I love the color combination here and how you widened the horizontal strip so that you could fit more images on it! Thanks for sharing!